Can Ken Meola's Word Be Trusted? 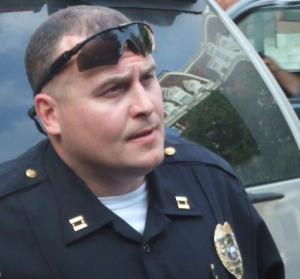 “obfuscation, stonewalling, say-nothing, do-nothing, run-away!” – words ‘shire-based videographer Dave Ridley used to describe the actions of Ken Meola, Keene Police Department employee, when he’s questioned. My own experience has been the same. The handful of times I’ve been in Meola’s presence and have attempted a conversation with him, he’s remained mute. Perhaps I should be surprised, seeing as the mission Meola claims to uphold lists “courtesy” as a main component, but I’m aware of the perverse incentives in the monopolistic, hierarchical structure in which he works. Is Meola’s statement – that the recently-acquired Bearcat (Ballistic Engineered Armored Response Counter Attack Truck) will not be modified – to be believed? Meaning, that no extra armaments will be added to the 19,000-lb vehicle? I don’t think any sane person would put-forth that this militarized vehicle needed in quaint Keene, and therefore, nor would any additional accessories (used to kill those who don’t obey). But recall, Meola and some of his colleagues justified the acquisition of the vehicle because it was “free” (it’s not free obviously, the DHS, through those who pay their annual ransom to the larger, federal government, covered the cost of the 286,000FRN piece of hardware to Keene PD and 299 other towns). On August 6th police departments across the states held “national night out” to try to better community relations. Right now, just an hour or so to the north, so-claimed “public officials” in Concord are attempting to do the same. But hey – at least some folks at the LENCO plant down in Pitsfield, MA have jobs right? They’re staying busy cranking out these vehicles. Thanks to federal money from the misnamed Department of Homeland Security – BEARCATS are now in 300 towns. A DHS grant – which, to be clear, is coin stolen from taxpayers – also provided a mobile command center to the Cheshire County sheriffs – the outfit now headed by former Keene police employee Eli Rivera. I was hopeful that I could finally have a conversation with someone who has thus far, played hard to get since my time in Keene. Despite a number of attempts to initiate a convo, or even just get a reciprocal “hello” or “good afternoon” Ken Meola has steadfastly refused to engage. Perhaps today, in public, things would be different. Keene now has a Bearcat (Ballistic Engineered Armored Response Counter Attack Truck). Does the world you want to live in include this militaristic vehicle? Check out this stellar overview video put-together by YouTube.com/LightspeedLiberty, which compares the Bearcat to Keene’s Fire Truck #1 [*note, only slight alterations were made for this version]. Unlike our “protectors”, I think most of us are too smart to buy-into that misinformation. Do you really think Keene residents would choose to pay-up to bring such a monstrosity to town?? 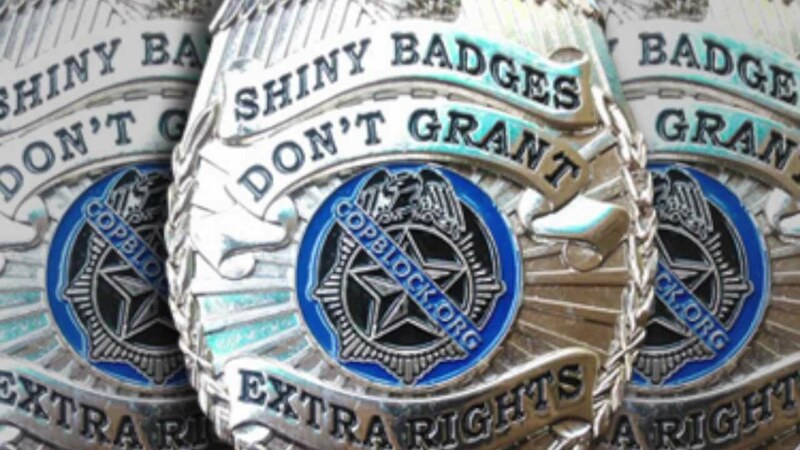 Remind yourself, as the double-speak surrounding this issue and these institutions is prevalent – the folks who brought the Bearcat to town claim to protect you. That “protection” is done at the barrel of a gun. 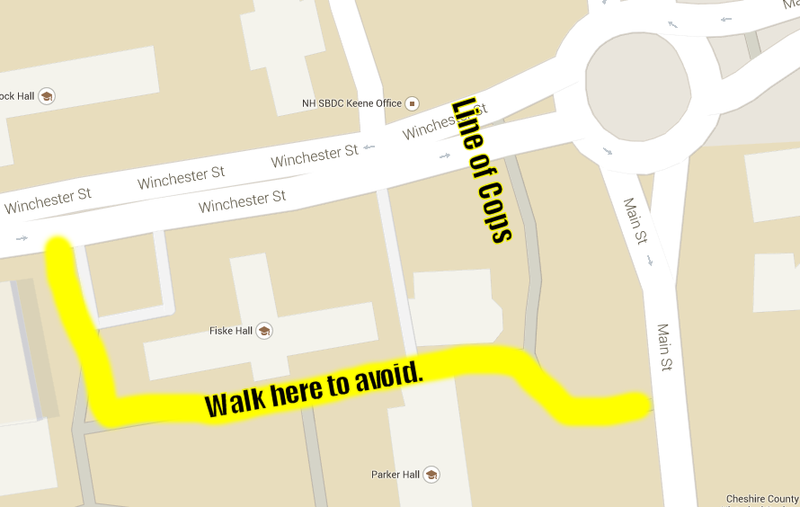 All Keene residents, whether they like it or not, are told “pay up” or else. What if you’re not happy with the services rendered? How do you feel if you see a Keene police cruiser in your rearview mirror? Nervous? Anxious? Doesn’t that seem odd? As well-intentioned as some employed at the Keene police department genuinely are, there’s no way the current policing structure can ever realize its very worthwhile goal (for a safe community). They simply lack the proper incentives. To put it plainly, the lack of competition means there’s an oversupply of policing. And a lack of accountability. We don’t turn to a centralized, top-down hierarchy to provide goods arguably more important than policing, such as food (without which, you’d sooner be in peril), so why believe a force-backed structure is necessary in this case? Hopefully individual Keene police employees will think about this seriously and act aligned with their conscience, which I hope means that they’ll refuse to operate the Bearcat. That’d be a significant step. And admittedly it’d be a tough step to take, when in that “thin blue line” culture, but what does it same about ones character if opt to act according to the dictates of another rather than themselves. As the saying goes – create the world in which you want to see. The Bearcat is here. But that doesn’t mean it has to get used. It’d be a powerful action that’d resonate with others if individuals in that environment choose not to unthinking comply, but to side with those they claim to serve and, I’d hope, with their own conscience. That seems to me the best choice for us now, and for future generations. 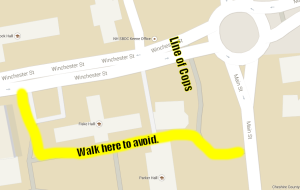 For more Pumpkin Fest Riot news, visit FreeKeene.com.